CHICAGO (WLS) -- Police are searching for a woman who robbed a TCF bank in Chicago's Lakeview neighborhood. 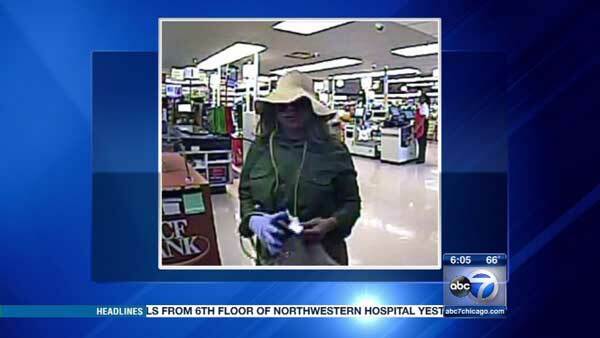 Authorities said she entered the bank inside the Jewel in the 3500-block of North Broadway on Wednesday wearing a light-colored floppy hat, dark sunglasses and light-blue gloves. She allegedly handed the teller a note that said she was armed and demanded cash. She got away with an undetermined amount of money. No one was hurt during the robbery. Police and the FBI are investigating.